The illustration is of a dinosaur coprolite. No way to measure its dimensions, but it must be pretty massive. And probably pretty smelly at the time! Twenty-five years ago American entomologist George Poinar's work on ancient insects in amber inspired Michael Crichton's futuristic thriller Jurassic Park. Now son Hendrik Poinar's groundbreaking work has inspired the world's first book on the science of fossil faeces, Jurassic Poop. The new children's book by Canadian science writer Jacob Berkowitz reveals that America not only has the world's largest heap of ancient human leavings but that the study of coprolites, or fossil feces, is literally re-writing American history, including who attended the first Thanksgiving. Developed completely from original scientific sources, Jurassic Poop is the first comprehensive book on coprolites, full of facts and stories that are intriguing to readers five to 100. "When I saw my first coprolite ten years ago, I thought no way, how could something as soft as poop fossilize?," says Berkowitz. "But coprolites are found on every continent and from every geological time period. There's literally tons of fossil poop out there, and it's now recognized as priceless for helping scientists piece together the puzzle of ancient life." Jurassic Poop profiles the work of Hendrik Poinar, a professor at McMaster University, in Hamilton, Canada. He was the first ever to extract DNA from ancient feces. While his father's work in teasing DNA from insects in amber benefited from the revolutionary genetic technological advances of the 1980s -- particularly the invention of the polymerase chain reaction (PCR) to duplicate and thereby identify DNA fragments -- Hendrik's benefited from medical advances. 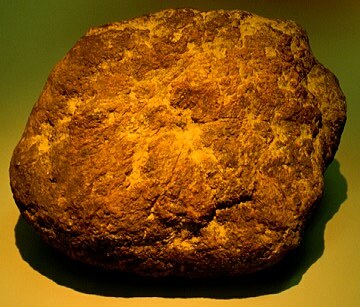 The technique used to extract DNA from coprolites uses a chemical developed for the treatment of diabetes-related complications. "After being pooh-poohed by scientists for decades, coprolites have now been shown to be the best source of ancient DNA, better than bones and teeth," says Berkowitz. Hendrik Poinar is now able to identify not only a pooper's gender, but also critical genetic information that will help to uncover the very origins of modern humans. Berkowitz says coprolites even have something to say about one of the seminal stories in American history, the arrival of the Mayflower. The official Mayflower record says that the only animals on board were two dogs. But in the mid-1990s an archaeological excavation of a 17th century Boston privy revealed another story. The Mayflower was infested with at least 20 types of Old World beetles, stow-aways who quickly called America home -- and do to this day. Jurassic Poop also reveals that more than 1000 human coprolites have been collected from Hinds Cave in the Chihuahuan desert in southwest Texas, making the site the largest human coprolite cache ever found. The fossilized specimens were deposited by ancient Americans over the course of about 8000 years. The book notes that these human remains are about 95-per cent fibre. That's about 15 times the amount of fibre the average American eats today. Hendrik Poinar is now collaborating with Vaughn Bryant of Texas A&M University to extract genetic information from the Hinds Cave coprolites.